Admit, Routine, Recert, Transitional and beyond - Outpatient and Inpatient. One Day, One Week, One Month ... we are flexible to meet your staffing needs. We have yet to find an EMR system we couldn't use. We have also developed our own CMS & HIPAA Compliant EMR. All stages of hospice operational development - Start Up through Revenue Cycle Management. Products and services that make compliance simple. Survey preparation, support and plan of correction development and implementation. Hands on, in-the-field training for your current or new staff members. 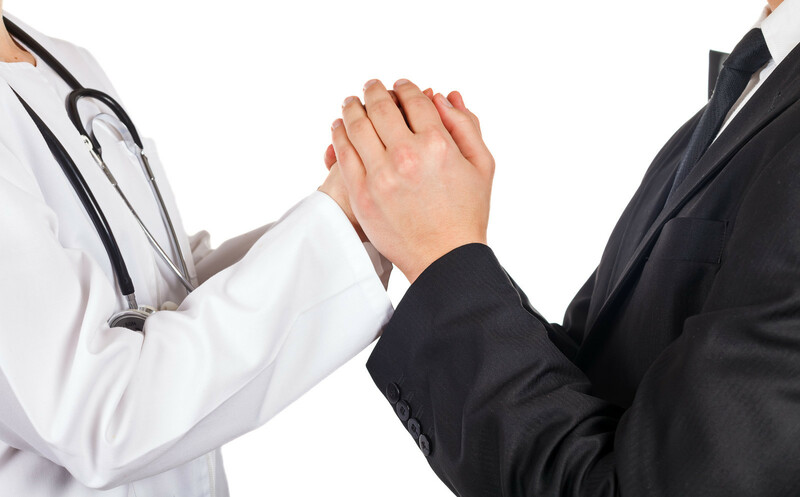 Focused on quality, satisfaction and reimbursement protection. 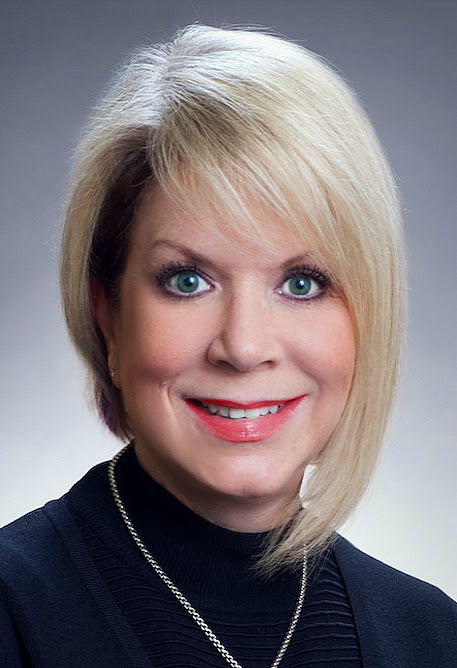 Education of the fundamentals of hospice care, ethics, practice standards, compliance and quality. The Amity Check is an app that automates your QAPI - from start to finish. The app is designed to automate and improve all areas of hospice operations. Coming Soon - Amity's own line of products designed specifically for hospice clinicians. 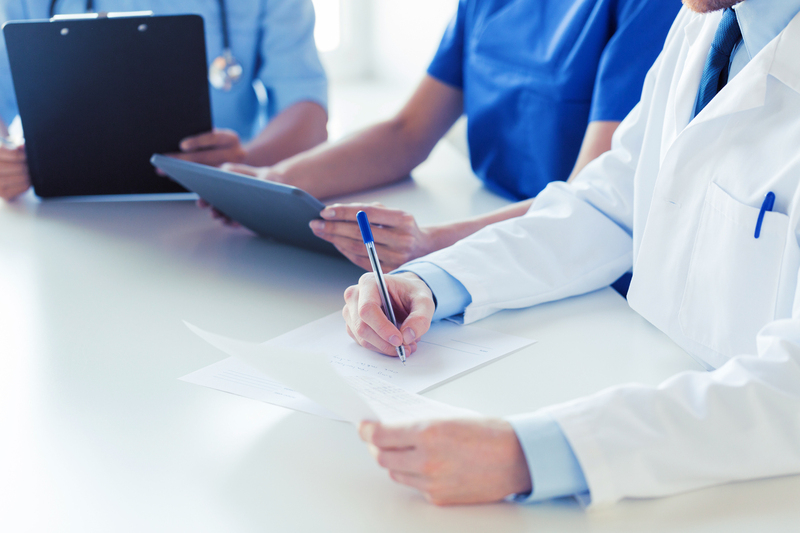 Need to switch quickly from paper to electronic medical records ... we have just the solution you need. 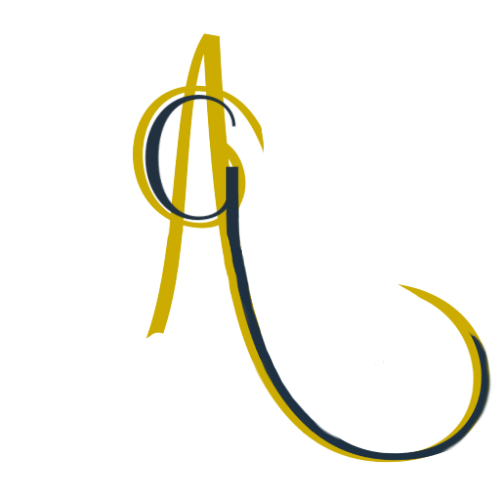 The Amity Group was founded with one goal ... help hospice agencies preserve the art of hospice. We accomplish this by offering hospice agencies a comprehensive range of services and products developed specifically for the hospice industry. Our design team employs years of practical experience and working knowledge to develop products and services that truly bring value and sustainability to the hospice industry. 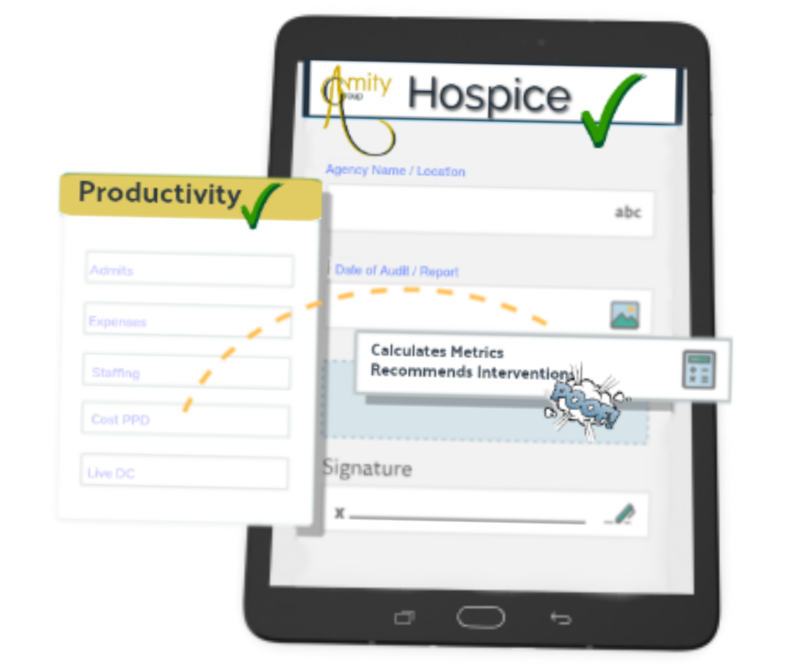 For example, The Amity Hospice Check is an app that automates and streamlines QAPI - from start to finish. We also understand the challenges of staffing a hospice agency. 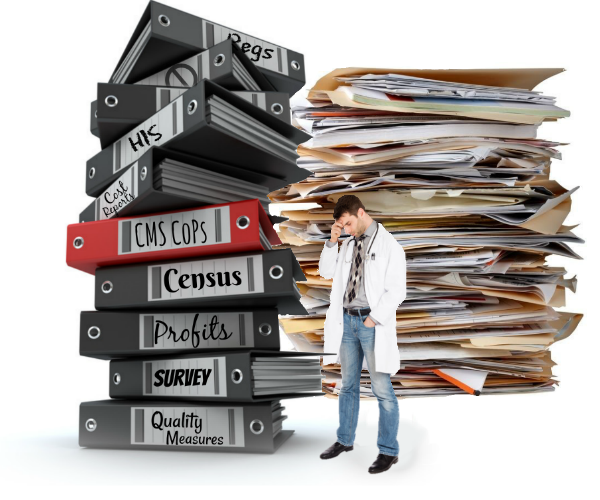 Daily fluctuations in census prevent flexibility in staffing; therefore, when just one nurse is out everyone feels the stress. 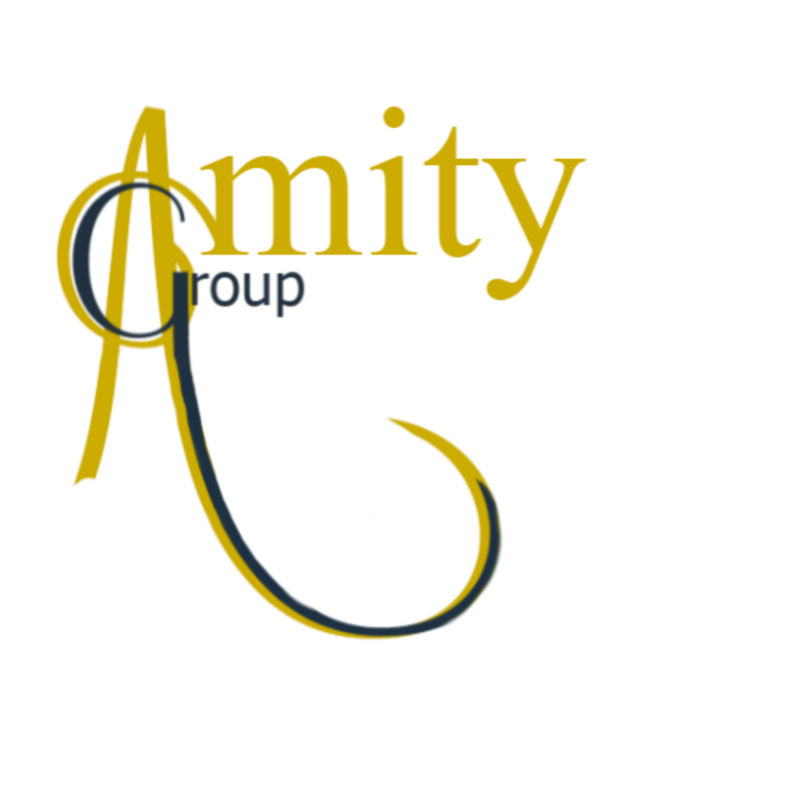 Amity provides staff to temporarily fill your staffing needs - which keeps your staff from feeling overwhelmed. Our nurses can step in and cover all visits (including admits), so that you don't miss a beat. We do not require any commitment on your part - you simply call us to fill in when you need us. We also can help train your staff - both field and classroom training. We are dedicated to developing a strong network of hospice mentors to foster and support each other and the future generations of hospice people.